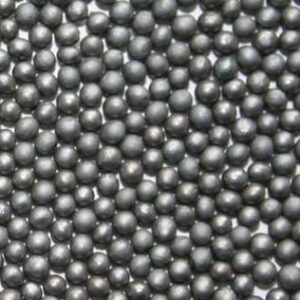 Steel Shot - Composition Materials Co.
We supply Steel Shot blast media in all standard sizes for use in wheel blast and pressure blast systems for stripping, cleaning, deburring, finishing and metal surface-improvement. In finishing operations, it produces smooth & polished finishes. Steel Shot strengthens metal surfaces in peening applications. Available in 4 Grades of Hardness and reclaimable and re-usable up to hundreds of times depending on blast parameters and applications.